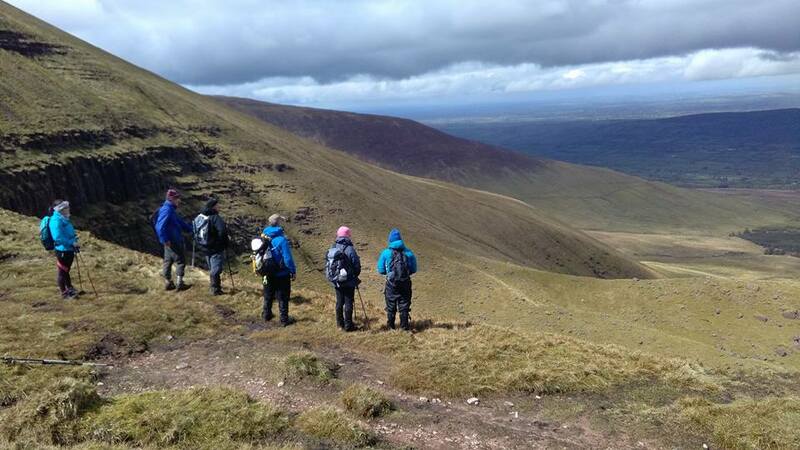 On Sunday 22/04 we headed East to the Galty Mountains for the club walk. We left town at 09.00 and continued on to Kings yard, which was the starting point of our climb. 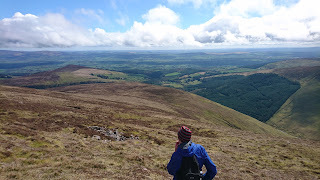 The Galty mountains traverse the Limerick Tipperary border and run from East to West. At 919 meters Galtymore is the highest inland mountain in Ireland. Leaving Kings yard we headed North East to link up with the Black road. On the slopes to our left there appeared to be some evidence of “lazy beds” which were used in the growing of potatoes before the great Famine of 1845. It would also appear that the mountain was home to a good number of people in the past, judging by the number ruins on its slopes. Reaching the Black road we went north along the track.Conditions were excellent for walking and we made steady progress. It was a very gradual ascent. There were great views southward to the Knockmealdowns. 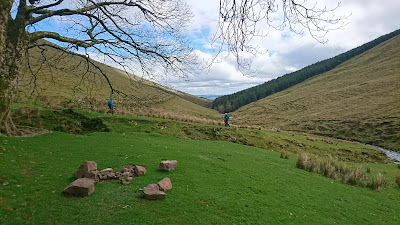 In the distance the the rounded summit of Galtymore our destination loomed ahead. Reaching a cairn it was decision time. Would we continue on and go to Galtybeg first, or turn left and go to straight to Galtymore. It was decided to keep left, conditions underfoot now detoriated and it got boggy. We set our course for the coll between Galtybeg and Galtymore. The hard slog was from here to the summit. However the views more than made up for it. Over looking Lough Diheen at the bottom of a sheer cliff. Across the way we could see a fairly large town, which I can now identify as Tipperary town. The village of Bansha could also be seen. Finally reaching the summit we stopped in the shelter of some rocks and had a welcome bite to eat, and took some photographs. Very soon a band of thick cloud enveloped us and it got bitterly cold, with a cutting breeze. We decided not to hang around and made our descent. As we got lower down the weather improved. 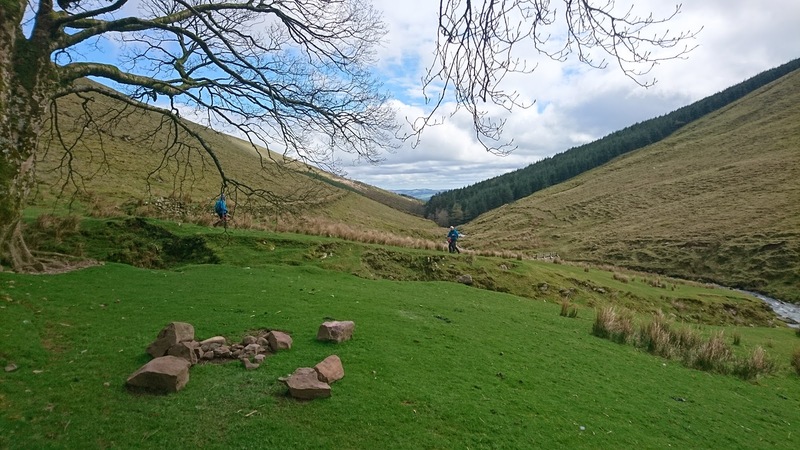 Is is a pretty steep descent and care is needed, the knees were feeling the pinch.